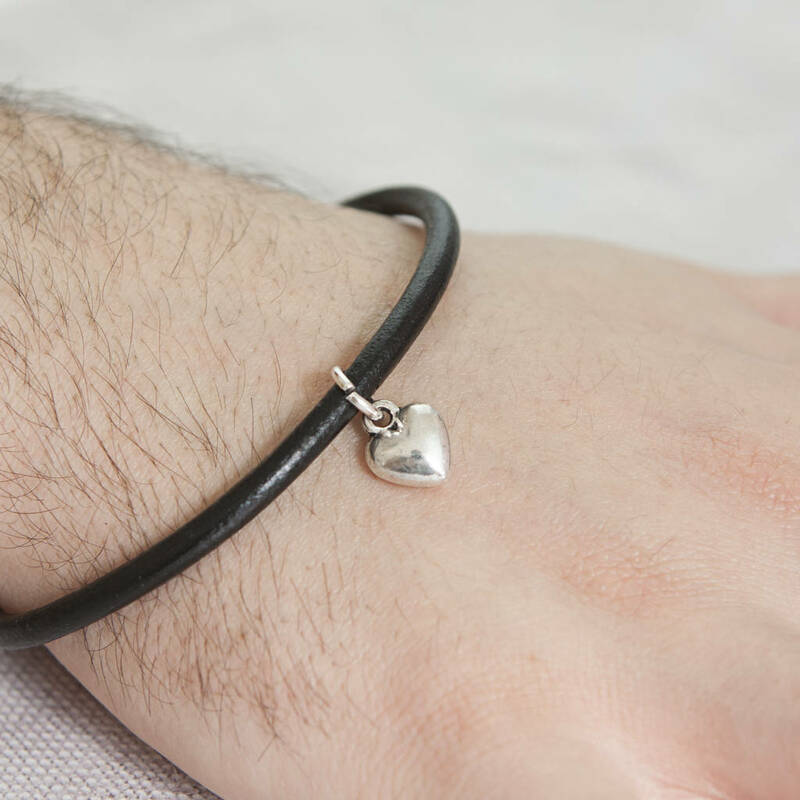 This chunky leather bracelet makes the perfect gift for a wonderful husband and father. This stunning leather bracelet will make the perfect gift for an amazing husband father for Father's Day, Christmas, Birthdays and other celebrations. 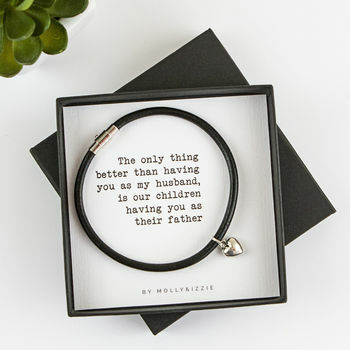 A perfect gift for husbands for those special occasions such as anniversaries, father's Day, birthday gifts, or just to let him know how much you love him and what an amazing father he is! This 4mm chunky leather brcelet has a strong magnetic closure and you can add an initial of your choice to make it even more personal. You can choose to have more than one initial too! The luxury matchbox style black gift box comes as standard with the inlaid quote 'as pictured. The bangle is made from 4mm thick black leather. The charm is made from a lead and nickle free zinc alloy and the optional initials are silver plated. The bangle has a diameter of 8.5 inches and the gift box is approximately 95mm x 95mm and can be posted as a Royal Mail large letter.